This contest started on 11/13/18. This contest has a winner. * Win A $15 Cecilie’s Gourmet Italian Ices Gift Card. 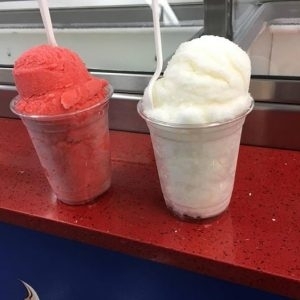 The $15 Gift Card is good at Cecilie’s Gourmet Italian Ices- 1799 Northwest 2nd Avenue, Boca Raton, Florida 33432, (561) 571-1281 and 19726 Wiles Road, Coral Springs, Florida 33076, (954) 753-2727. Lovely place. Hope to be there for something cold and refreshing. Their cherry water ice is delicious. I love their ices. I’ve been going to the Coral Springs’ store for years. Know the joint. Love their ices. Their ices are simply amazing.